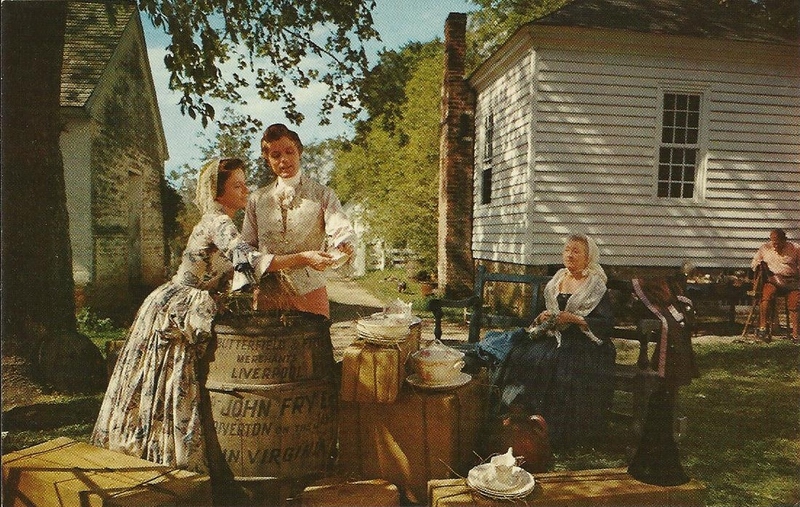 In a scene from the Paramount-Colonial Williamsburg film "Williamsburg - The Story of a Patriot," planter-burgess John Fry and his family open crates of fine merchandise imported from England. This movie, filmed principally in the famous exhibition buildings of Williamsburg, Virginia, may be seen daily by the public. Working with hand tools, fine leathers, and unusual papers, the bookbinder fashions handsome bindings such as graced the shelves of eighteenth-century libraries. 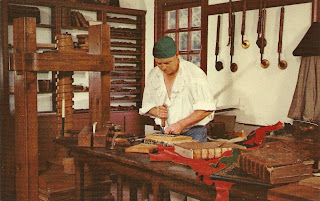 The bookbinder, located in the Printing Office, is one of many craftsmen working in shops open to the public. 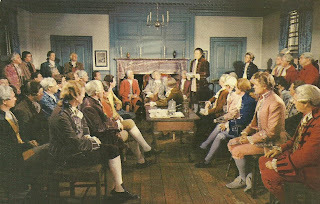 Unable to meet officially in the Capitol, the burgesses of the Virginia General Assembly - as represented in the Paramount-Colonial Williamsburg film "Williamsburg - The Story of a Patriot" - defiantly confer instead in the Raleigh Tavern. In Williamsburg today, the Raleigh Tavern is one of eight exhibition buildings open daily to the public.